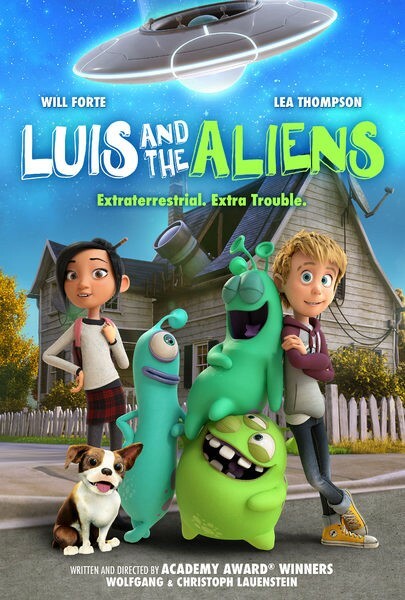 With his father obsessed with finding proof of extra-terrestrial life, 12-year-old Luis does his best to take care of the house and lead a normal life. Unfortunately the neglect from his father drags Luisâ€™ life down and heâ€™s at risk of being taken away and sent off to a boarding school. When a group of three awkward aliens are drawn to Earth after watching too much of the home-shopping network they inevitably run into Luis. Feeling like heâ€™s finally found a true family, Luis dedicates himself to helping them find their way home so he also can escape his own fate in this wild and wacky out-of-this-world adventure.